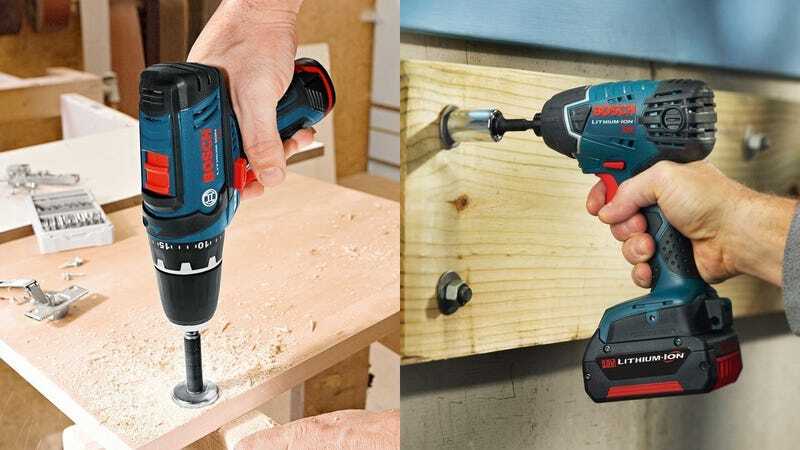 If you have any DIY projects on the horizon, Amazon’s running a handful of stellar deals on Bosch power tools, today only. For your appetizer, here’s a 4.5 star-rated 12V drill/driver for an all-time low $79, a whopping $50 less than usual. 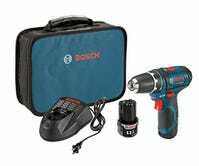 It even includes a tool bag and two of Bosch’s slimline 12V batteries, which fit entirely within the handle of the drill, with no bulky protuberance at the bottom. But the main course today is an 18V combo kit with a drill, an impact driver, a reciprocating saw, an LED light, and two batteries, plus a bonus AM/FM radio, and a screwdriving custom case for good measure, all for $249. 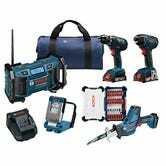 To give you some context, Amazon sells the combo kit by itself for $329 (though some third party sellers have it for $249), so you’re getting the radio and screwdriving set thrown in for free. Both of these deals are only available today, and I wouldn’t be surprised if one or both sold out early.